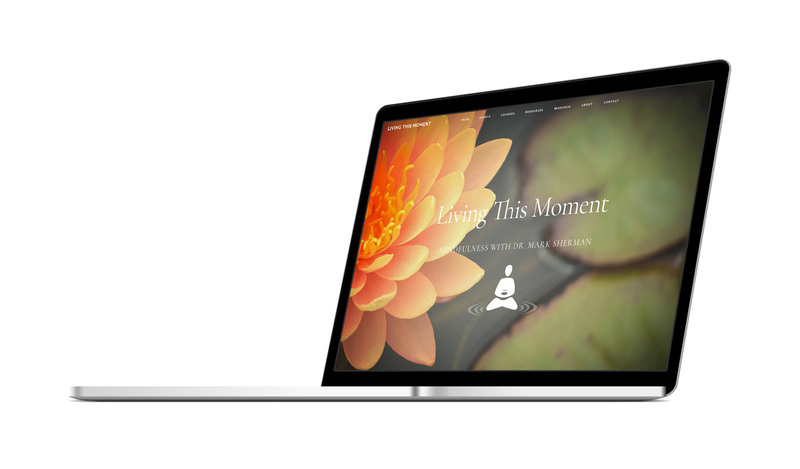 Living This Moment - Fairfield Media Co.
Dr. Mark Sherman required a new website for his Living This Moment mindfulness consulting business. Mark needed his website to reflect his professional background and his work with physicians, healthcare professionals, educators and human resources representatives. The website also needed to feature his courses and programs. Mark wanted ways to engage with the mindfulness community by writing articles in a blog, sharing guided meditation mp3 downloads, and sharing other off-site resources like books, videos or other websites. Mark wanted a website will that visually reflects the work that he does in mindfulness by being a calm and open space, inspired by a Zen garden. We worked with Mark to identify all the content and elements that would be needed to bring the site together. We then built an interactive prototype of the site so Mark could see how it would work and what a functional visitors experience was like. We then spent time getting the aesthetics and presentation of the site ready so Mark could see how we would bring the Zen garden concept to life. Prior to launching the site we loaded all of Mark’s content into the site and tested the entire site thoroughly on desktop and mobile devices. Finally, we made the site live to the public and trained Mark on how to manage his site and helped him deliver a launch email to his colleagues announcing his new home on the internet. "Scott makes web design easy and straightforward. He is organized and clear about the steps required and the work division. For someone with a lot on my plate in my life, I appreciated how Scott directed me to provide the specific content and initial design preferences, and then continued effortless communication until the website was ready for launch. I would recommend Fairfield Media because of the professionalism, clear communication and concise timeline."